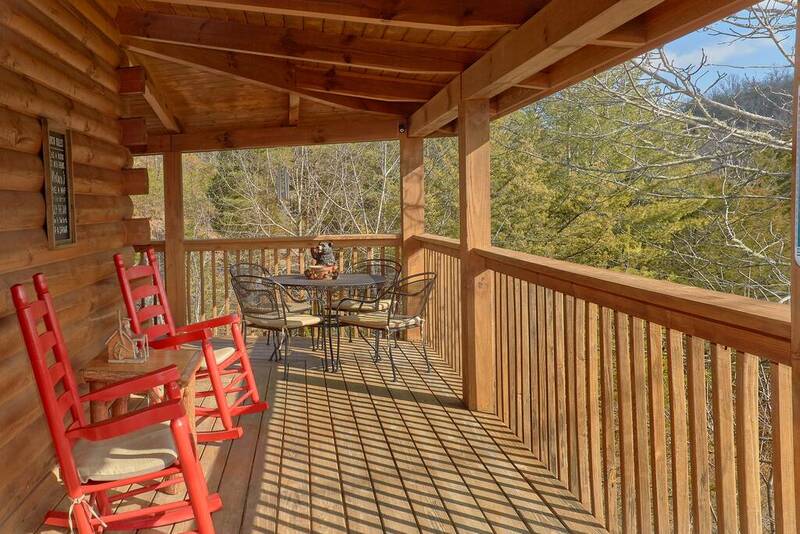 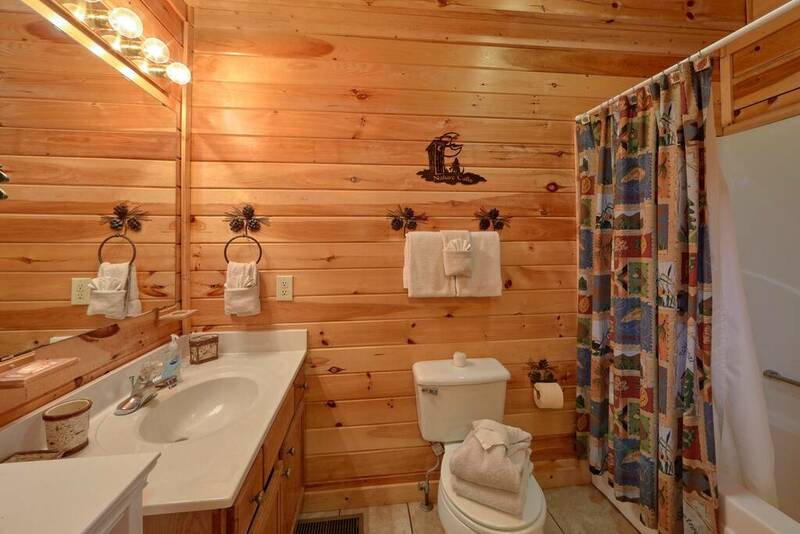 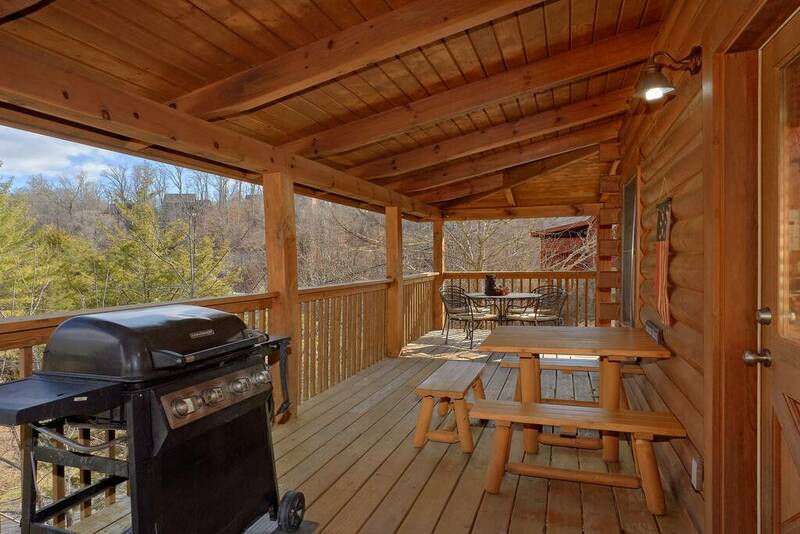 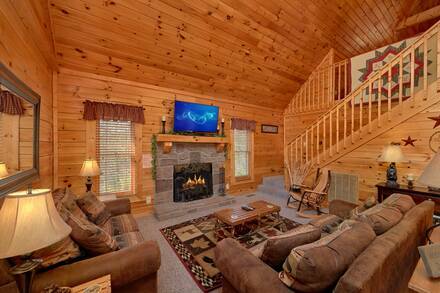 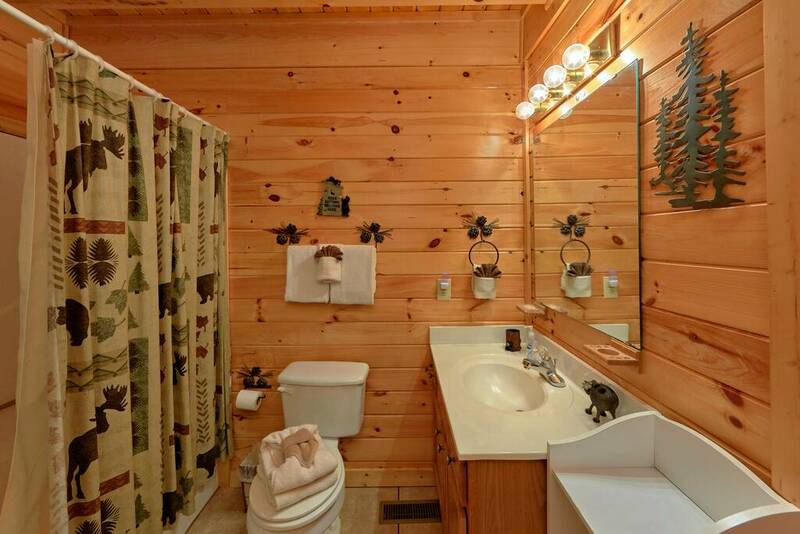 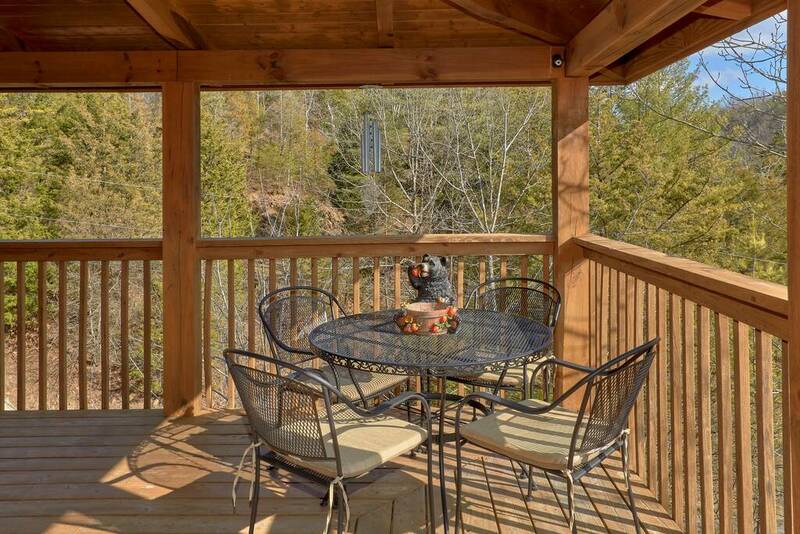 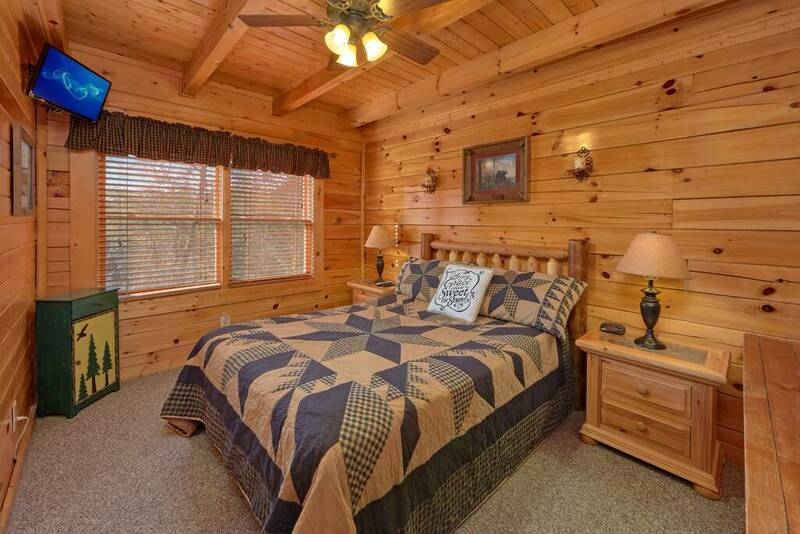 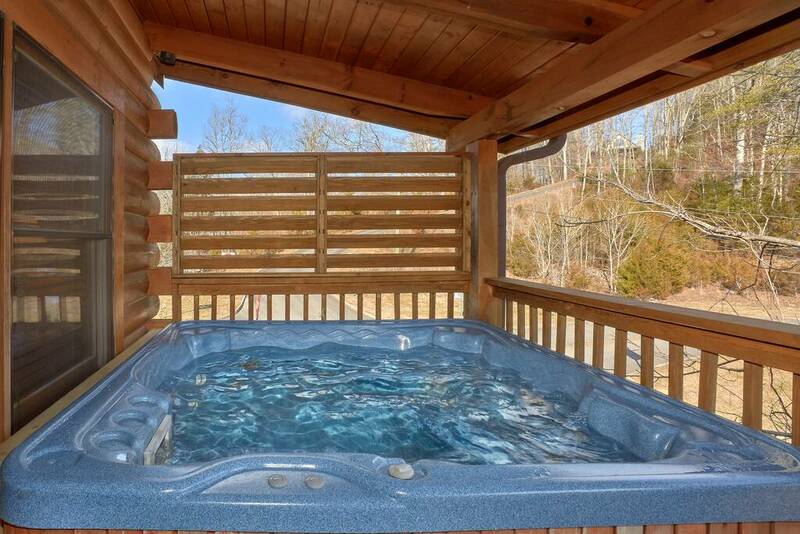 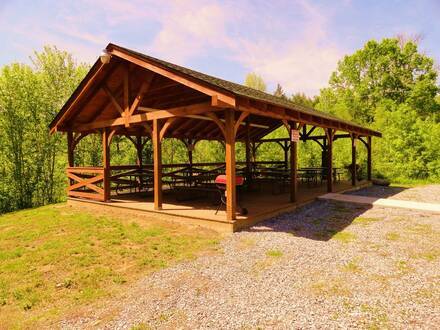 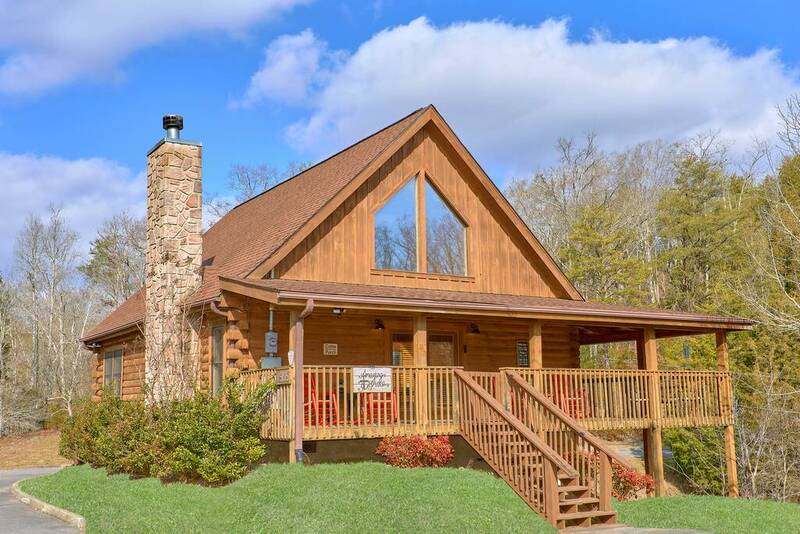 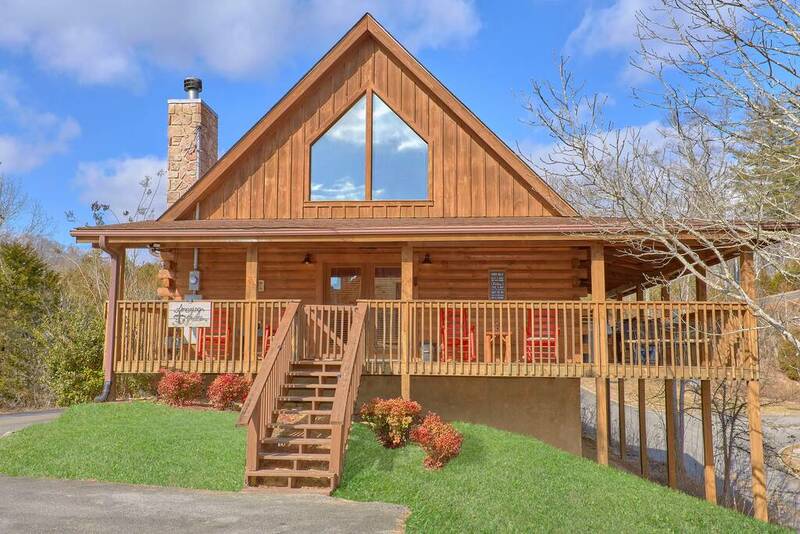 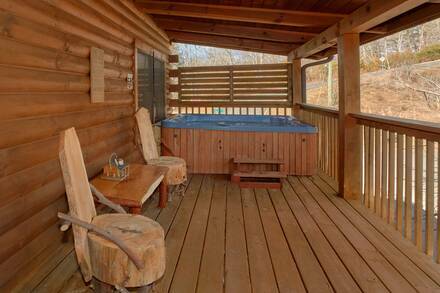 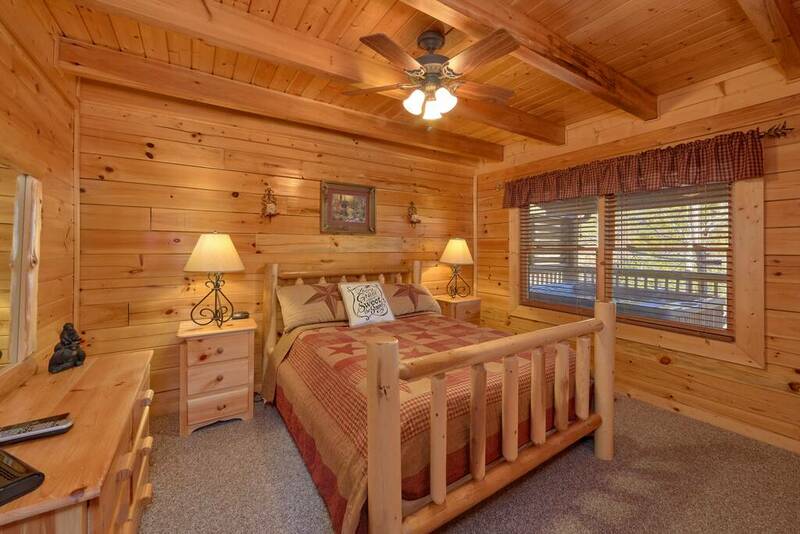 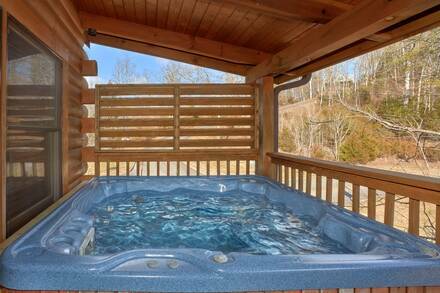 Find serenity in a quiet woodland spot in the foothills of the Smoky Mountains at Amazing Grace, a spacious three-bedroom cabin near Pigeon Forge. 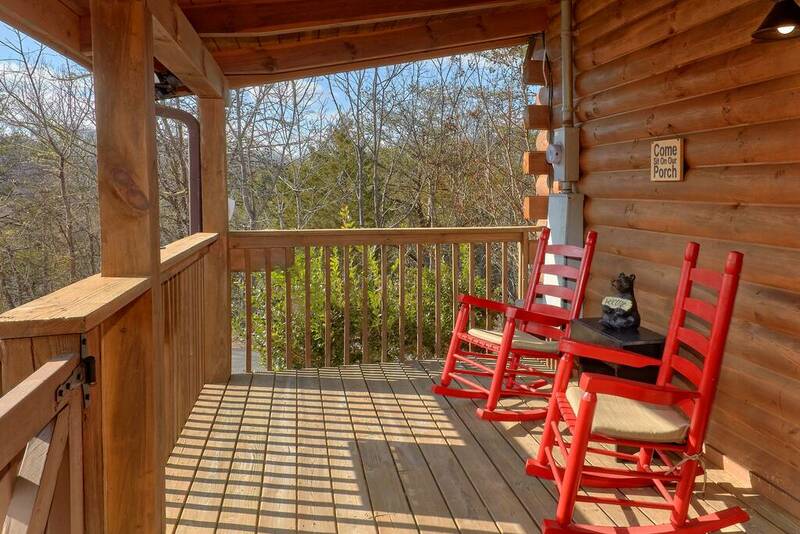 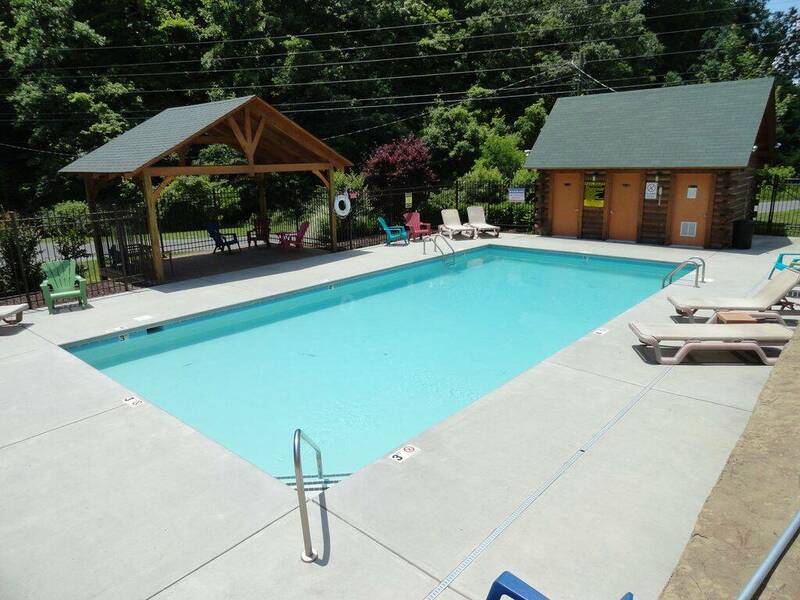 Enjoy peace and quiet despite only being a short drive from the Parkway and its potential for days out in the Smokies and all the fun of Gatlinburg and Pigeon Forge. The beautiful living room has a pitched ceiling and a wide stone fireplace and you will find your group naturally gathering around the flickering flames. 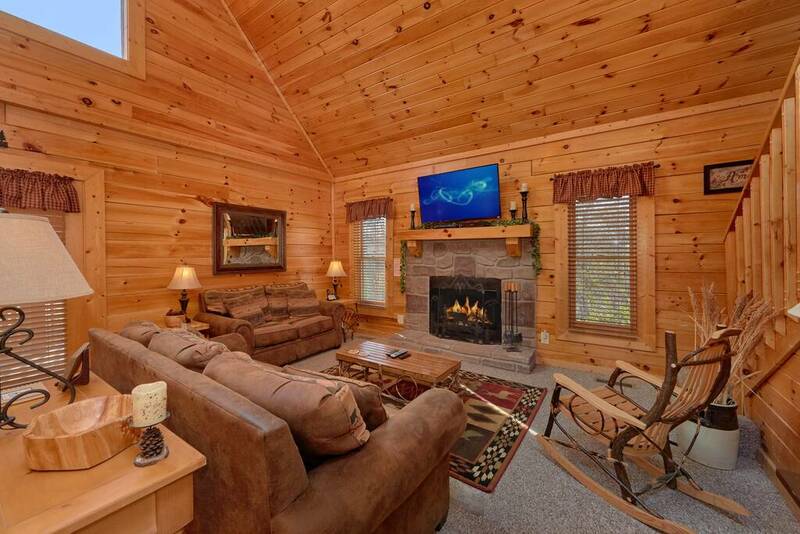 Two comfy lodge-style couches invite you to curl up with a book or loved one, while the setting is also great for movie night on the large flat-screen television on the mantel. 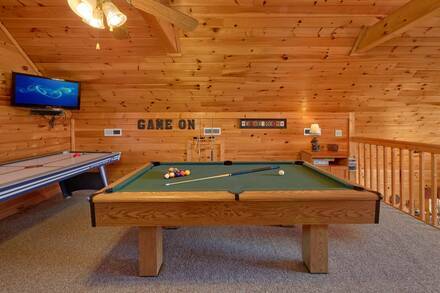 A second communal area is in the loft, where a large room overlooks the living room. 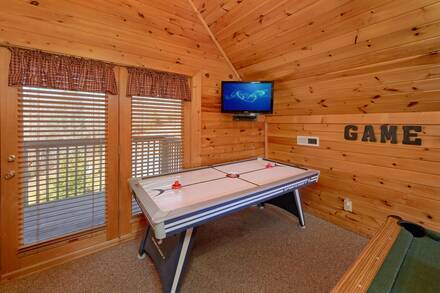 In it, you will find pool and air hockey tables, another flat-screen TV, and board games and puzzles, plus a queen bed. The main floor has the two other bedrooms, plus a queen-sized sofa bed to allow up to eight people to enjoy Amazing Grace. 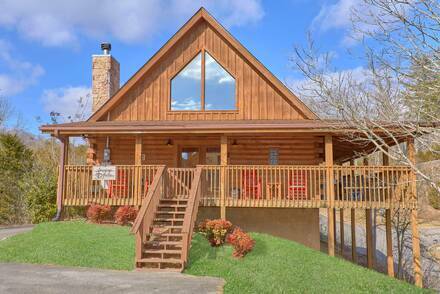 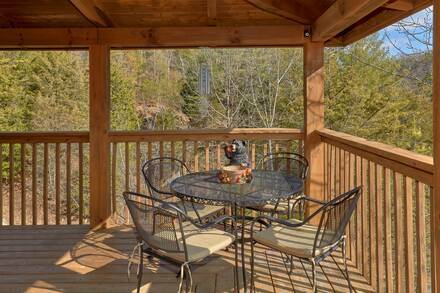 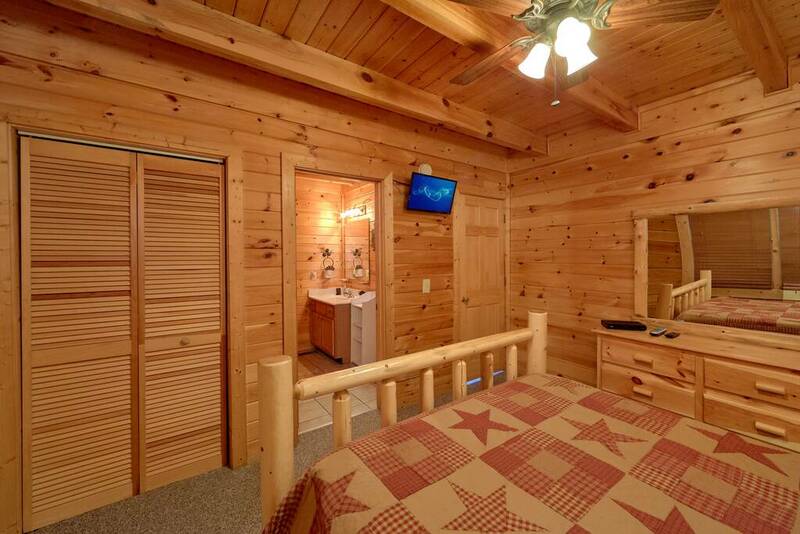 This cabin also affords access to various facilities in the Eagle Spring resort. 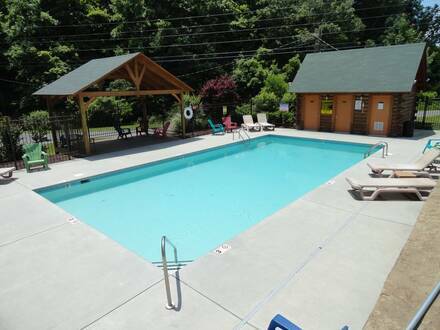 Take the kids to the resort pool in the summer or go for a run on its paved roads. Only 10 minutes from the action, Amazing Grace will help you relax whatever your Smoky Mountain vacation includes. 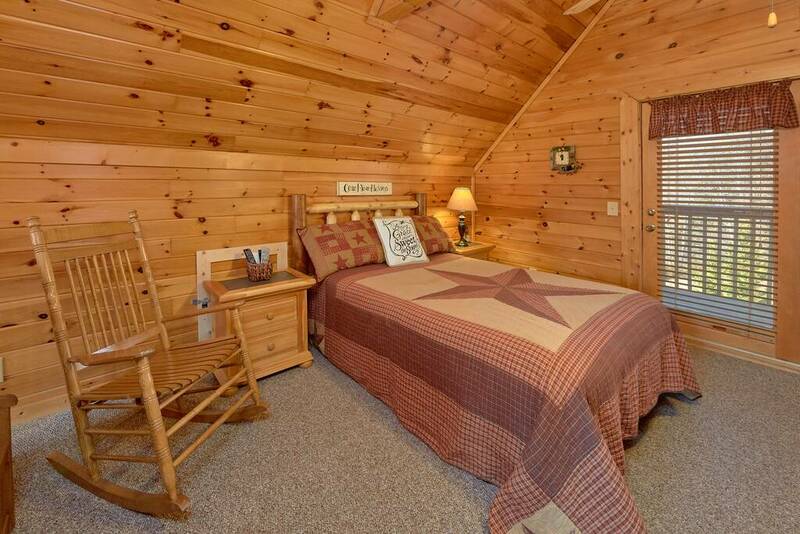 ***Please note this property requires a minimum stay of 6 nights from June 7 - November 30.